It wasn’t like it was unexpected. Things had been pretty tough for Sayyid for a long time. But the day that his dad told him he needed to get a job sticks in his mind. There wasn’t enough money to pay for rent or food. Sayyid was 15 years old. “I didn’t really know what to do,” explains Sayyid. “It’s not that easy to get a job, and get one fast.” So he asked a friend and the friend suggested that he get some fast money selling drugs. With nowhere else to go, Sayyid set out to meet a local dealer. The next morning, that’s exactly what Sayyid did. 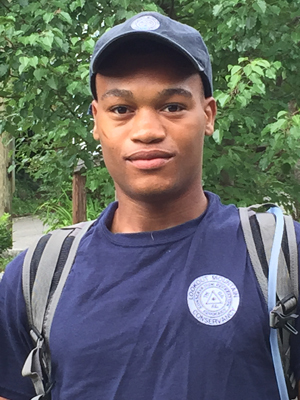 He enrolled in the Mountain Intern program, joining 20 other students from The Howard High School. 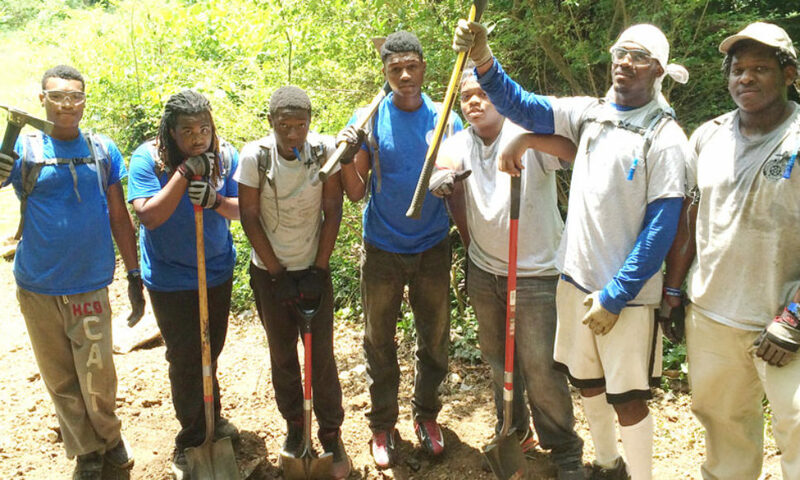 Every day, all summer long, and on Fridays and Saturdays during the school year, the Interns worked on Lookout Mountain with Conservancy staff; together building a five-mile trail that will go from the base of the Mountain to the top. They ripped out vines, and cleaned up old tires and debris. They stacked thousands of recovered bricks and later used them to create an overlook. The program stresses teamwork, communication skills, leadership and self-initiative. “It was really hard at first. I didn’t really know how to get along with people. I mean, where I come from, it’s really about survival, not working as a team like that,” reflected Sayyid. “It was totally different from anything I had experienced." 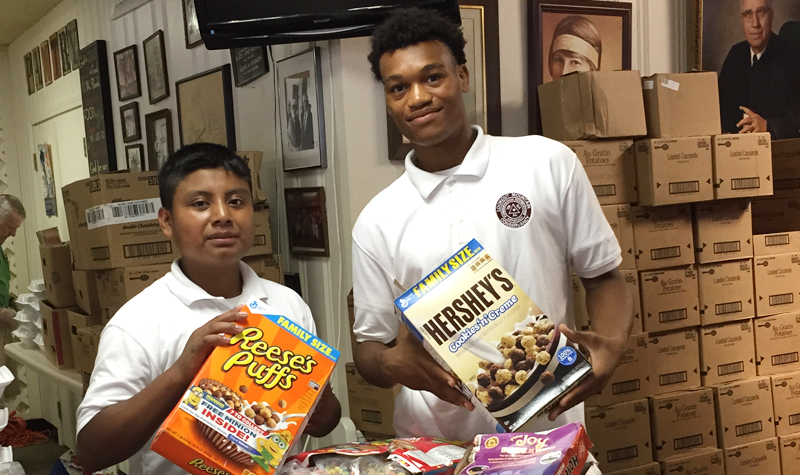 Through mentoring in the internship program, and the partnership with The Howard School leadership and fellow teachers, Sayyid is now leading his classmates in ways that, three short years ago, would have been unimaginable. He’s been selected as captain of his basketball team, is in strong academic standing and headed for graduation this spring, and his fellow Mountain Interns have chosen him for the Intern Leadership Team. As a result, Sayyid is traveling to different areas within the southeast, speaking at events and programs about the Intern and Leadership program and the partnership with The Howard School. UPDATE: Sayyid graduated from The Howard School May 2016, and is a freshman at Cleveland State Community College in Cleveland, Tennessee. He plays basketball for the varsity team and is majoring in Sports Management. Thanks to the support of people like you as well as local businesses and foundations, the Lookout Mountain Conservancy continues its partnership with The Howard School. The program is designed to provide both leadership and academic skills and has resulted in 100% graduation rates for those who have attended (surpassing the high school’s average). As a result of community support, the program has been expanding every year as funding becomes available. The program was created by Zachary Brown, former Principal of Howard, currently Assistant Superintendent, Hamilton County Department of Education and Robyn Carlton, CEO of Lookout Mountain Conservancy.